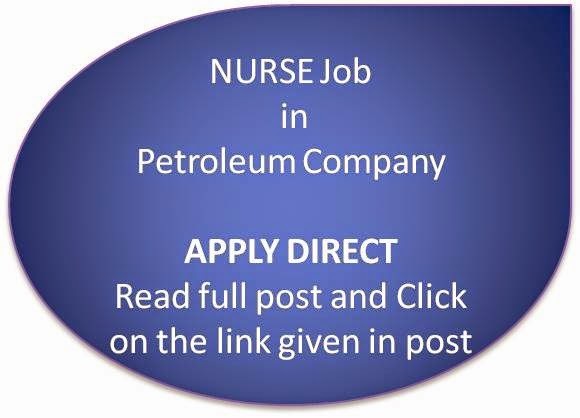 Qatar Petroleum now announced vacancies for nurses, through their website. In order to avoid frauds, interested nurses may apply directly for this post. Please find the link in this post which is given at the end of the post, click on it and apply directly through online. The other details given in the website are as follows. Registered Nurse/minimum 3yr certificated training or BSc Nursing. Eligible for Qatar license to practice nursing. Additional professional qualification such as Advance Cardiac Life Support (ACLS) certifications preferred. Minimum 3 years post registration experience. Experience in acute care and or primary care. Working knowledge of IT systems such as Microsoft Word. Proficient in English written and verbal. Proficient in Arabic is preferred." The above information is given as it is in the website for better understanding. Interested nurses may read and if eligible then only apply.